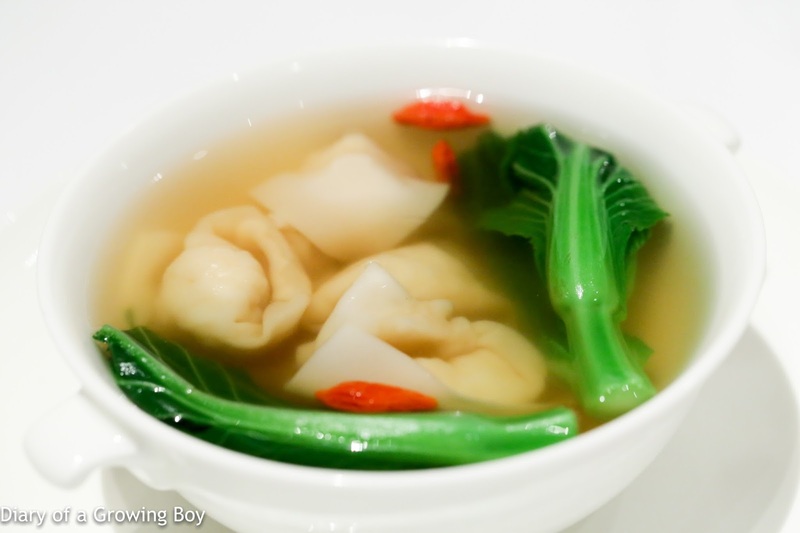 Lobster wonton soup with porcini (牛肝菌龍蝦雲吞湯) - the biggest disappointment of the menu. Unlike my friend, I didn't think that the ham-based broth was too salty. I did, however, think that the wontons were ridiculously hard. Without looking at the menu, I also thought they tasted funny and artificial. 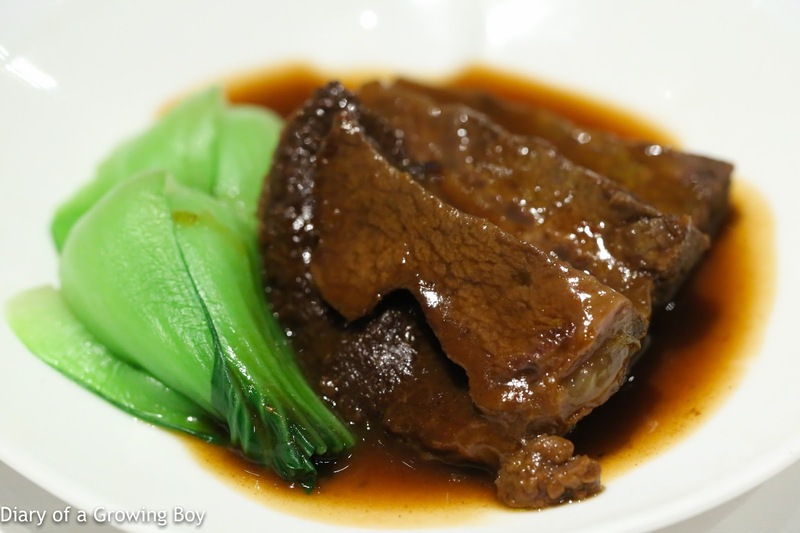 Stewed beef cheek with the chef's special preserved bean paste (紅燒牛面頰) - WOW!!! 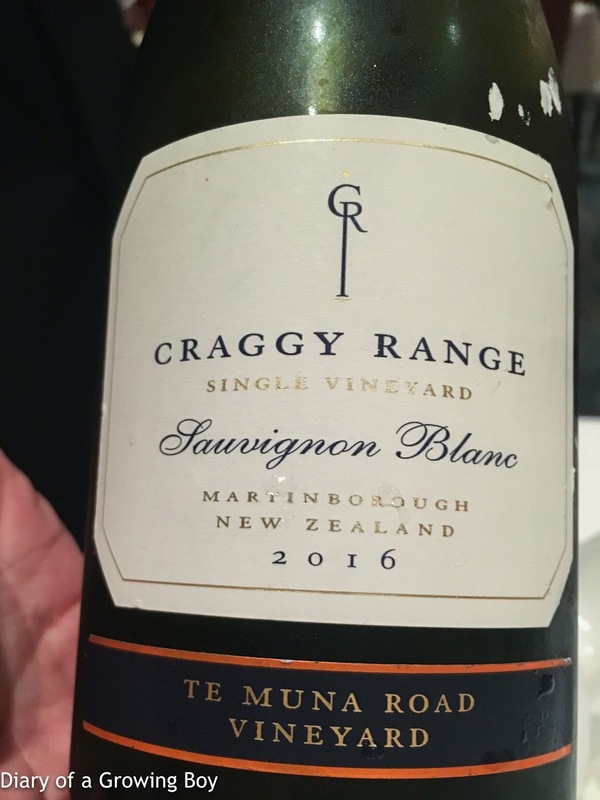 This was really, really good. The beef cheek was just incredibly tender, and yielded easily to one's teeth. It was also full of rich flavors. 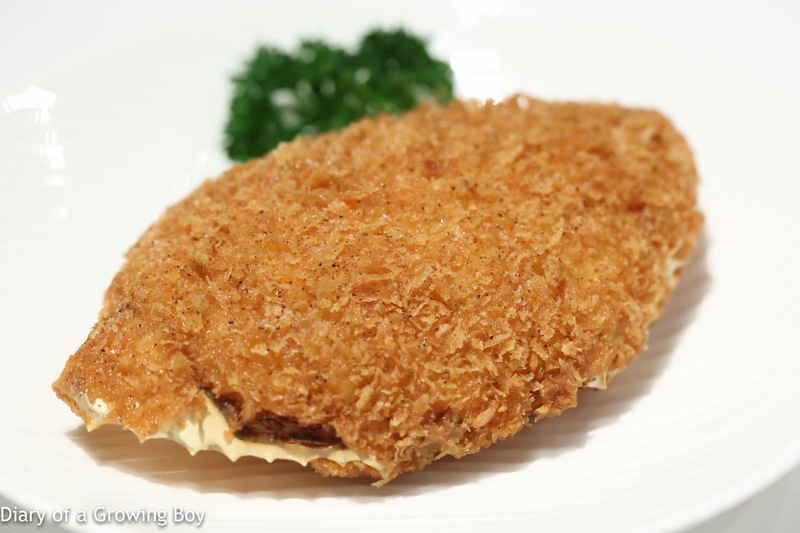 I wish I had a bowl of steamed rice to go along with this, because that's all I need for dinner tonight. I almost stopped the staff from taking my empty (or so she thought) plate away because I didn't want to give up the sauce that was still on my plate! 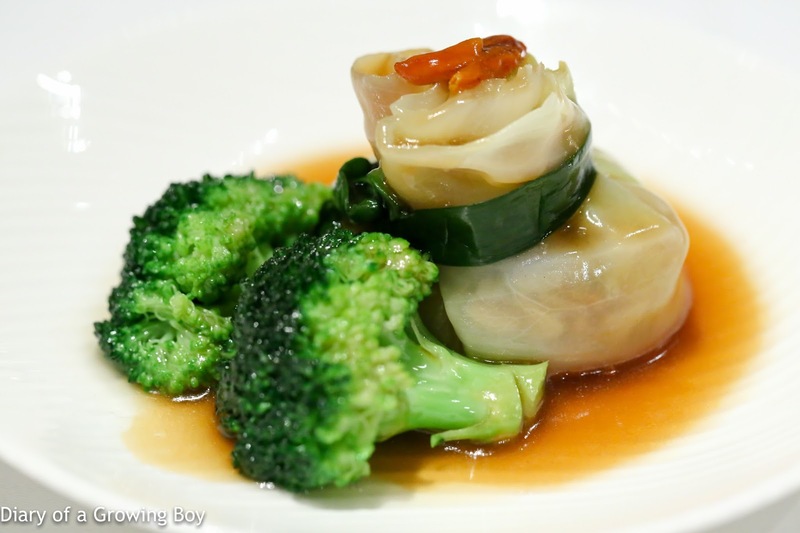 Braised cabbage dumpling with diced vegetables (碧綠上素石榴球) - the dumpling (or "money bag") stuffed with diced vegetables is another classic dish, and here they've opted to use cabbage as the wrapper instead of dumpling skin. Pretty tasty. 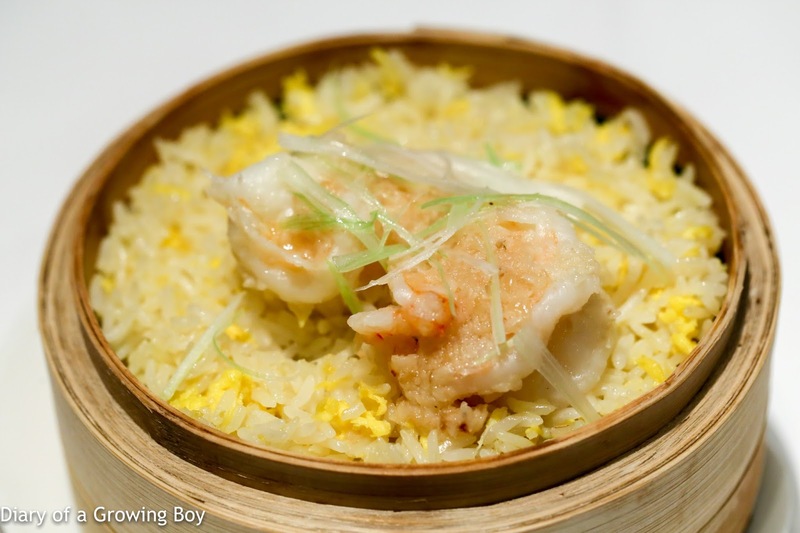 Steamed fried rice with egg, prawn, and garlic sauce in a basket (籠仔蒜茸蝦球蒸蛋炒飯) - this was damn good! It was interesting to see fried rice come on a piece of lotus leaf in a steamer, but what I didn't expect was the amazingly aromatic minced garlic sauce. 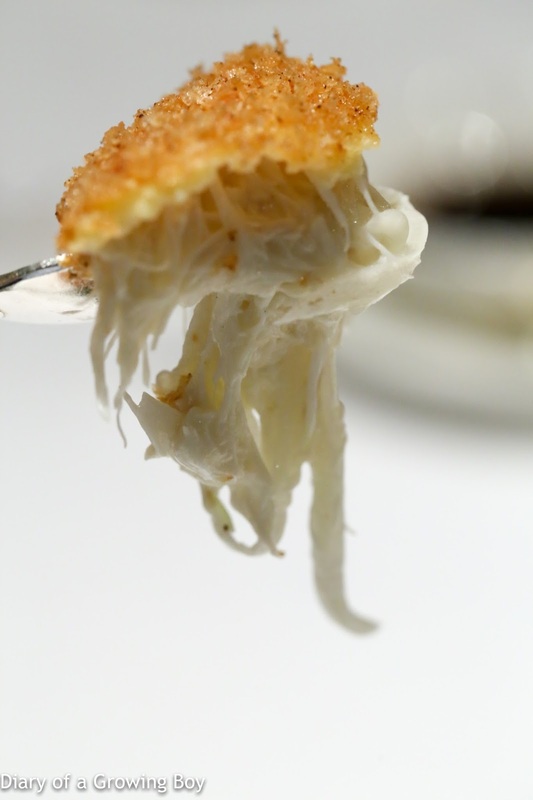 Adding that garlic sauce is kinda like hitting the switch to deliver NOS to the car engine - and all I can say is "Whoa!" 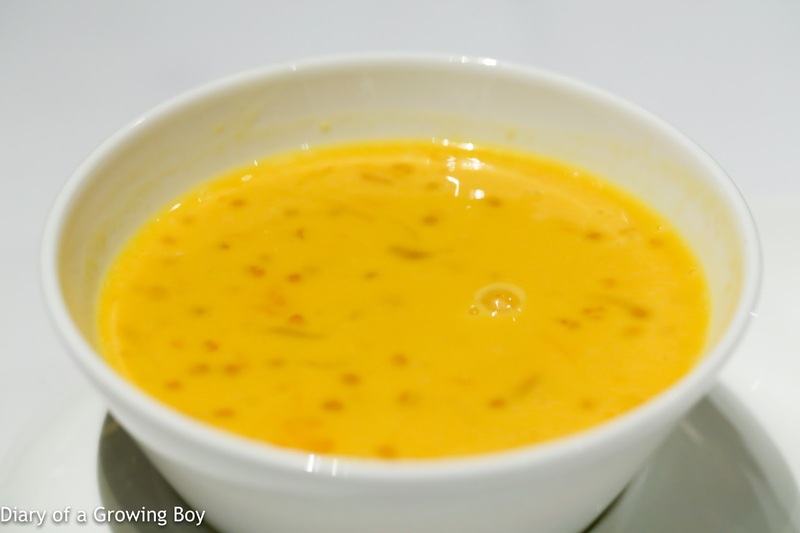 Chilled mango cream with mango juice and pomelo (香芒楊枝甘露) - can't go wrong with this classic dessert. Love the rich, sweet flavors of the mango juice, which was punctured from time to time by the slight bitterness of pomelo pulp. Our set menu actually comes with a drink, and I chose to have a glass of white wine. 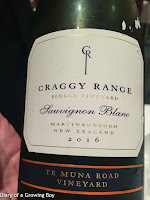 2016 Craggy Range Sauvignon Blanc Te Muna Road Vineyard tasted very much like lolly water... very tropical and peachy, a little flinty but still sweet on the nose. Later on a little pungent sulfur. Sweet on the palate.